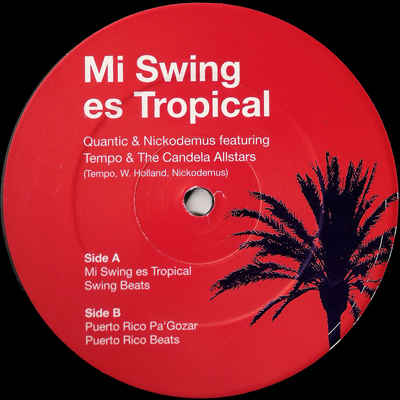 New York's finest Nickodemus meets Quantic in San Juan for 3 days of music making with Tempo & The Candela Allstars. Here is the result. Released and cultivated by Pablo Rodriguez of Candela Records and Candela Bar. I love mi swing is tropical. This rhythm drives me crazy. I LOVE IT!!!!!! It is me! I love it! thanx for having this site, after an hour it was good to finally hear the songs! OMG! I cant stop moving. Its addictive, i gotta keep listening over and over and over. Can someone gimme some similar number like this one. i luv this song !!!!!!!!!!!!!!!!!! Never Music has been so good. This must be the icon of the century.